The McKee Project would like to pay tribute to the following organizations and say thank you for helping the McKee Project. Without the support from the following organizations, McKee would not be where it is today, working hard to further animal welfare through spay and neuter education programs throughout Latin America. 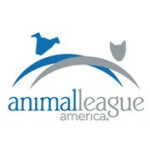 North Shore Animal League America is the world’s largest no-kill animal rescue and adoption organization. Since 1944, North Shore Animal League America has been saving the lives of innocent dogs, cats, puppies, and kittens — over 1,000,000 to date. We have saved a million lives. Help us save a million more. Described by some critics as “the Wall Street Journal” of the animal defense community, Animal People News is the leading independent newspaper providing original investigative coverage of animal protection worldwide. With thousands of items on hand, the Animal People News website is one of the largest repository of articles on animal issues in the world. 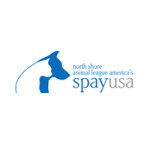 North Shore Animal League America’s SpayUSA is a nationwide network and referral service for affordable spay/neuter. Developed in 1993, for nearly 20 years SpayUSA has helped hundreds of thousands of people nationwide obtain low cost, quality spay/neuter services. 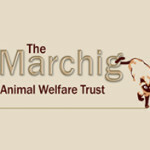 The Marchig Animal Welfare Trust was established in 1989 by the late Madame Jeanne Marchig of Geneva, because of her deep concern for nature and animals and in memory of her husband, the painter Giannino Marchig. The objects of the Trust are to protect animals and to promote and encourage practical work in preventing animal cruelty and the relief of animal suffering. 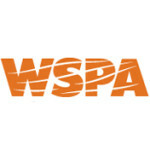 The World Society for the Protection of Animals exists to tackle animal cruelty across the globe. We work directly with animals and with the people and organizations that can ensure animals are treated with respect and compassion. With your support, we campaign effectively to combat the world’s most intense and large-scale animal welfare issues. 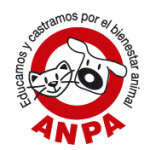 ANPA Costa Rica is dedicated to educating the population of Costa Rica on the responsible ownership of pets, to improve their quality of life. For this, ANPA heightened their interest in creating national public policies and relationships with the mass media, as well as providing castration, lectures and educational materials, and awareness campaigns aimed at generating animal welfare awareness. SASY! is committed to provide Costa Rica with an international fundraising organization capable of making a difference in the areas of animal rights issues, animal reproduction, animal care education and legal policies. 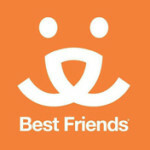 This is accomplished by developing fundraising concepts whose proceeds benefit spay and neuter clinics. Spay Panama was started in the Republic of Panama in 2001. For years, a small group of volunteers and vets worked together to make a difference and improve the welfare of the less fortunate animals. 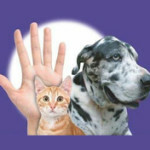 Spay/neuter services should be within reach – geographically and financially – for everyone who has a cat or dog. Asociación Pro Bienestar Animal is a member of The McKee Project in Costa Rica. Our group (McKee Jacó) began back in June 2003 to help our community address the issue of the countless stray animals roaming the streets, as well as offer help with animal health care and adoption. Miranda Luck and Associates was established to improve animal welfare worldwide and to meet the growing needs of today’s animal care professionals. 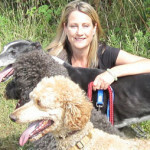 We work with you to help your organisation to understand and implement legislation and best practice in animal homes, shelters, rescue centres, sanctuaries and pounds. 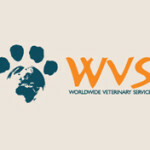 World Veterinary Service supports animal charities and non-profit organizations all over the world. From domestic animal welfare shelters in Greece, equine welfare projects in Gambia and exotic conservation projects in Grenada and India. Working with local communities, WVS aims to promote and produce long-term sustainable projects to the benefit of local animal and human populations.